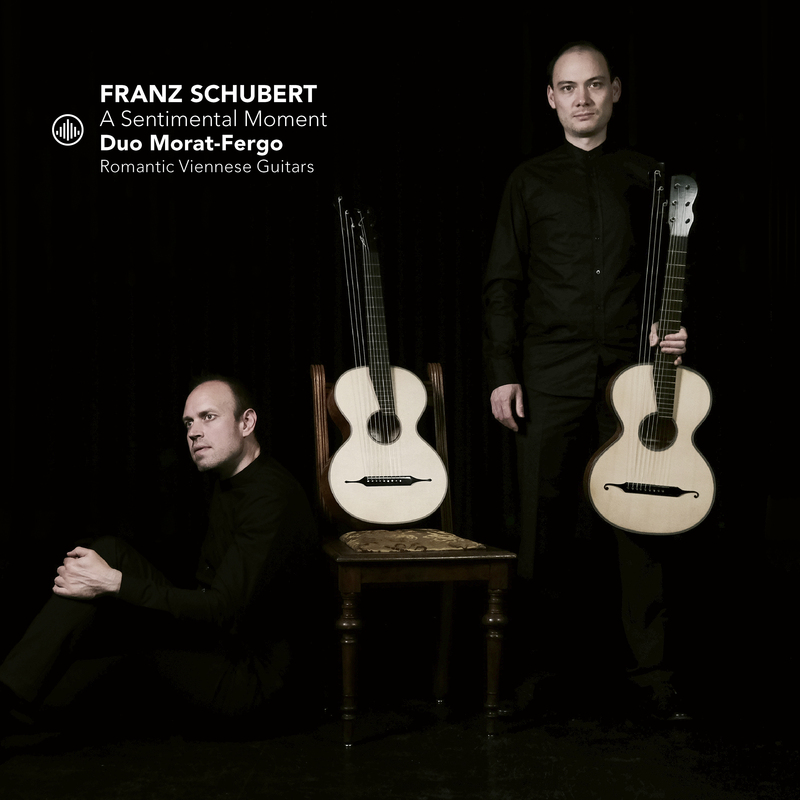 The Swiss-Danish guitar duo Morat-Fergo was founded by classical guitarists Raoul Morat and Christian Fergo in 2014. They studied together at the music academy of Lucerne with German Echo-Prize winner Frank Bungarten. In only a few years they have created a new repertoire of romantic music through their arrangements for guitar duo and established themselves as one of the most exceptional guitar duos to emerge in recent years. Their mutual captivation of Franz Schubert’s music inspired them to start the duo to perform the masterpieces by the Austrian composer. The duo’s arrangement of Schubert’s Moments Musicaux op. 94 reveals new sound aspects and interpretorical shades to the music. In january 2015 they premiered the work in Lucerne, which prompted an outstanding reception. 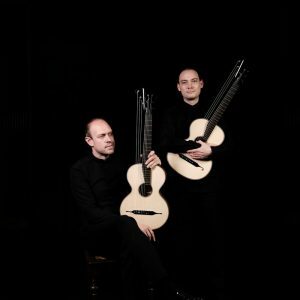 To come closer to the original sound of the 19th Century, the duo plays copies of romantic Viennese guitars from the time of Schubert. Their high artistic level combined with strong individual musical personalities has proven to be an exciting combination. Christian and Raoul have performed as duo and soloists in many countries across Europe including Norway, Finland, Denmark, Germany, the Netherlands, Switzerland, Italy, Ireland and China. 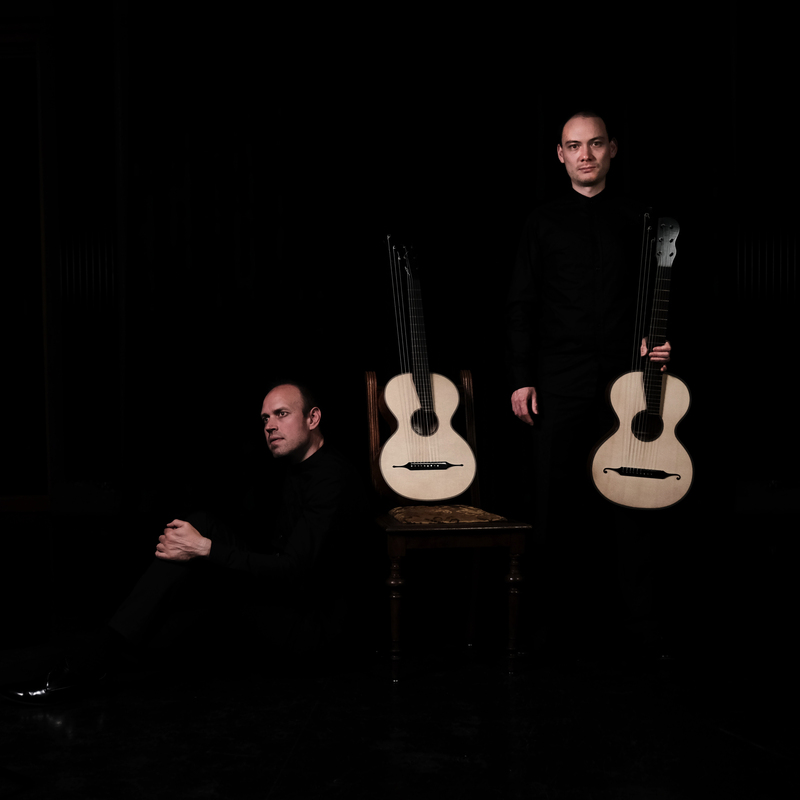 The duo’s own arrangement of Schubert’s monumental lieder cycle ‘Winterreise’ for voice and guitar duo was premiered with German tenor Julian Pregardien to great acclaim in February 2016. That year they also performed ”Schubertreise”, a work specially written for the duo by Irish composer Martin O’Leary. This season includes recitals in Switzerland, Austria and Germany, as well as the recording of the duo’s first CD with their own arrangements of piano music by Schubert. “We had always felt the guitar unconsciously lingering in Schubert’s musical language. That, combined with our love for Schubert’s music, sparked the desire to musically arrange and finally discover Schubert’s world, not only as listeners, but as performers. We started out by arranging Moments Musicaux. It was with delight that we realized how well these pieces work for guitar: the intimacy, serenity and folklore in Schubert’s piano music, so to speak, lived within the character of the guitar – and in order to move even closer into his world, we decided to play copies of guitars from Schubert’s time, with the very sound quality Schubert would have heard in the Viennese musical circles”.